Why so many people would like to buy a hydrogen water machine for personal use? H2 is a gas which is formed when two hydrogen atoms bond together and become a hydrogen molecule. H2 is also called molecular hydrogen. It consists of two protons and two electrons. Consequently. it is the most common form of Hydrogen because it is stable with a neutral charge. It is the antioxidant in ‘hydrogen-rich’ water. H2 is the smallest molecule in the universe. That means it can go where nothing else can… including into your mitochondria – which are the powerhouses of your cells. Hydrogen gas cannot be kept in plastic because it will pass right through the walls of the container. Our body will detox this out through perspiration and urination, thus reducing the amount of free radicals in your body. 1.The molecule of hydrogen water is small enough to penetrate into cells deeply. 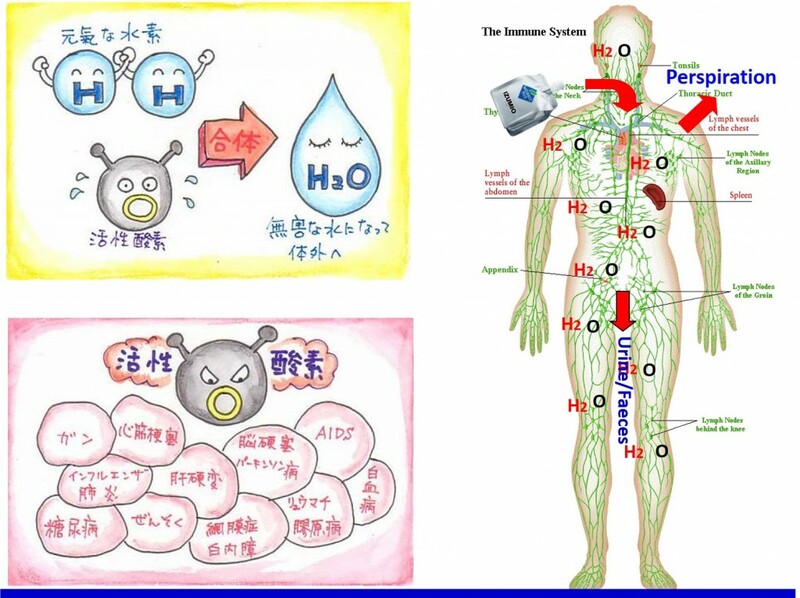 The utmost thing is that hydrogen water can neutralize ROS (Reactive Oxygen Species), which are notorious for destroying normal cells or distorting DNAs. 2.Every time a human cell divides, its entire genome of 3 × 109 base pairs must be copied. 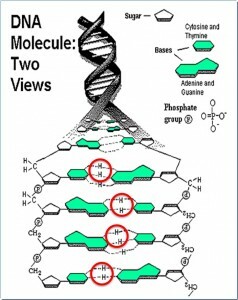 DNA replication is extremely accurate, but mistakes do occur, and sometimes the incorrect nucleotide is incorporated into the growing DNA sequence, giving rise to a mismatch. DNA is also susceptible to damage from cellular and external sources including chemical agents (such as those found in cigarette smoke), ionizing radiation and ultraviolet light. DNA damage must be kept in check in order for an organism to be viable. If mutations survive without being corrected, they can be passed down to future generations, change the function of proteins and cause cancer. It is a good antioxidant to reduce the amount of free radicals in your body. Antioxidant Effect of Hydrogen-Rich Water Molecular hydrogen has been scientifically proven to have antioxidant properties that help to remove harmful free radicals from your body that cause oxidative stress leading to chronic diseases and aging. The first research paper on hydrogen as an effective antioxidant was published in 2007 in the famous medical journal, Nature Medicine titled (Dr. Shigeo Ohta and his team of researchers). Because that’s what oxidation does to your body. As cell oxidation takes place, your bodily system starts to malfunction and the “ageing” process begins. You see while oxygen is good and essential for life, the excess oxygen creates this “rusting” effect. How do we slow the ageing process in our busy world today? It’s that simple. Water is a powerful medium in the body that transports minerals and other nutrients. And hydrogen molecules are one of the smallest atoms which makes it able to penetrate and permeate with the cells. This means faster absorption of the minerals and you’ll feel the effect and improvements even faster. Naturally it is not going to happen overnight. Think about this, how many years have you already been neglecting to take care of your body? In any case, it should take the same amount of time for your body to recover back. But with Naturally Plus’ Izumio… This process has been shorten for you. Read testimonials or Izumio Benefits here. But what’s the secret behind the water that makes it so mystical? Hydrogen! In 2002, a Japanese reporter from Japan’s TBS TV Network brought back some of this miracle water to analyze its secret in Kyushu University. And they discovered that the water contained a high concentration of Hydrogen molecules. 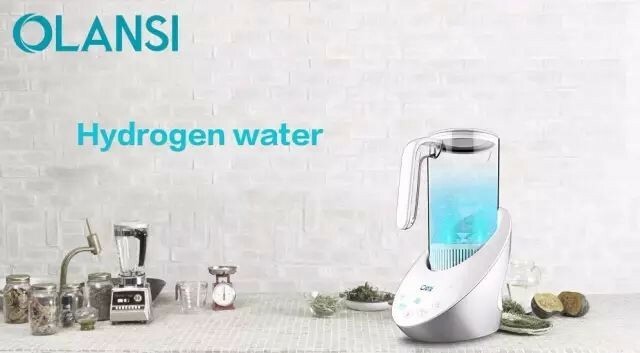 However, the natural source of hydrogen rich water is depleted over the centuries, while the increasingly polluted environment constantly generates harmful free radicals, causing aging, inflammation and various diseases.